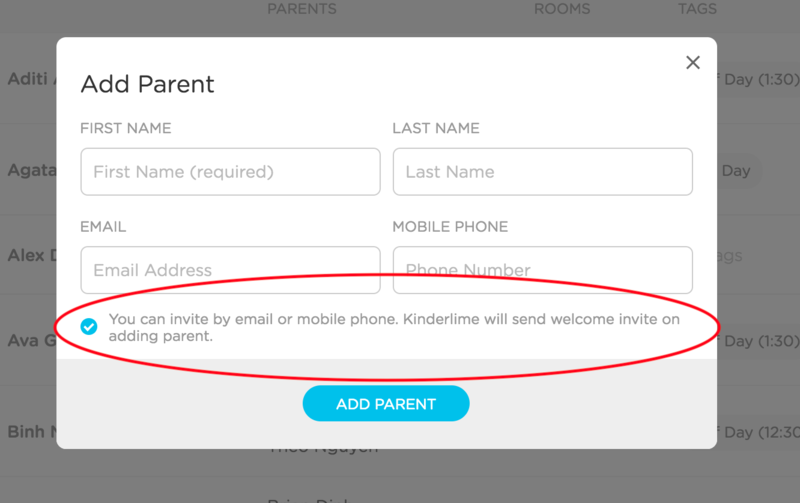 Kinderlime is all about keeping parents and schools connected. Once they are added in the system, parents can sign up for a Kinderlime account through the app or website. receive/reply to messages from their child's teacher. 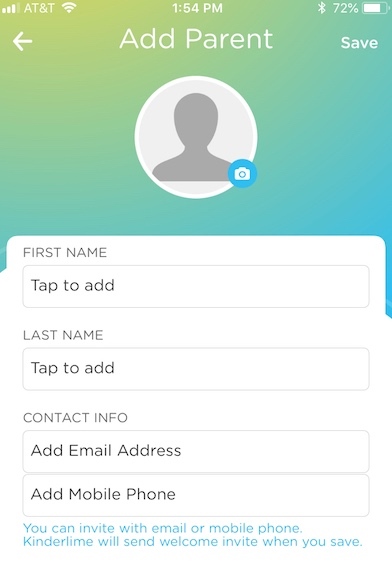 When you enter a parent's email address or mobile phone number, there is an option to send the parent an email or text invite (see screenshot below). If you choose to uncheck that option, the parent will not immediately receive an invitation. Learn more about managing parents in this article. Click the ellipsis (...) in the upper right of the website and choose "Print Parent Invite." Download the PDF with parent invitations on each page for each family who has not yet signed up for a Kinderlime account. NOTE: If one parent has signed up but the other has not, there will still be a page generated in the PDF for the family to sign up. However, if a family is completely signed up, a page will NOT be generated for them in the PDF. How to Resend Invitations to Parents? Click the ellipsis (...) in the upper right of the website to choose "Send Parent Invite." Select the parents to invite individually, click the "Show students whose parents are not invited," or click "Select All."